Kayastha's work has led to better understanding of the mechanism of action of several enzymes from plants, their physiological and biochemical roles. He discovered a new enzyme, PEP phosphatase from V. radiata, having a role in plant starvation. His extensive work on pigeonpea urease has contributed to enhanced efficiency of nitrogen uptake by plants. He has successfully predicted the homology based structure of a-amylase from mung beans, which was on the coverpage of all issues of Phytochemistry 2008. Beyond his explicit contributions towards field of Enzymology, he has successfully implemented nanotechnology to his advantage. He has developed a novel lactose nanoprobe based on immobilization of pea �-galactosidase onto gold nanoparticles, which was recently featured by Nature INDIA. Member, Group Monitoring Committee on Molecular Electronics/Conducting Polymer Electronics, Non-invasive and other Biosensors, DST, New Delhi (2004-06). Malhotra, O.P. and Kayastha, A.M.: Isolation and characterization of a phosphoenolpyruvate phosphatase from germinating mung beans (Vigna radiata). Plant Physiology (USA) 93 (1990) 194-200. Kayastha, A.M., Sawa, Y., Nagata, S. and Miles, E.W. : Site-directed mutagenesis of the beta-subunit of the tryptophan synthase from Salmonella typhimurium. Active site role of glutamic acid 350. Journal of Biological Chemistry 266 (1991) 7618-7625. Ahmed, S.A., Ruvinov, S.B., Kayastha, A.M. and Miles, E.W. : Mechanism of mutual activation of the tryptophan synthase ? and ? subunits: Analysis of the reaction specificity and substrate induced inactivation of active site and tunnel mutants of ? subunit. Journal of Biological Chemistry 266 (1991) 21548-21557. Brozovic, P.S., Kayastha, A.M., Miles, E.W. and Dunn, M.F. : Substitution of glutamic acid 109 by aspartic acid alters the substrate specificity and catalytic activity of the ?-subunit in the tryptophan synthase bienzyme complex from Salmonella typhimurium. Biochemistry(ACS) 31 (1992) 1180-1190. Malhotra, O.P., Prabhakar, P., SenGupta, T. and Kayastha, A.M.: Phosphoglycerate kinase-glyceraldehyde 3-phosphate dehydrogenase interaction; Molecular weight studies. European Journal of Biochemistry 227 (1995) 556-562. Das, N., Prabhakar, P., Kayastha, A.M. and Srivastava, R.C. : Enzyme entrapped inside the reverse micelle in the fabrication of a new urea sensor. Biotechnology and Bioengineering 54 (1997) 329-332. Biswas, S. and Kayastha, A.M.*: Unfolding and refolding of Leucoagglutinin (PHA-L), an oligomeric lectin from kidney beans (Phaseolus vulgaris). Biochimica et Biophysica Acta 1674 (2004) 40-49. Reddy. K.R.C., Turcu, F., Schulte, A., Kayastha, A.M. and Schuhmann, W. Fabrication of a potentiometric / amperometric bifunctional enzyme microbiosensor. Analytical Chemistry 77 (2005) 5063-5067. Dwevedi, A. and Kayastha, A.M.*: Optimal immobilization of �-galactosidase from pea onto Sephadex and chitosan beads using response surface methodology and their application. Bioresource Technology 100 (2009) 2667-2675. Dwevedi, A., Kumar, A., Singh, D.P., Srivastava, O.N. and Kayastha, A.M.*: Lactose Nano-probe Optimized using Response Surface Methodology. Biosensors and Bioelectronics 25 (2009) 784-790. Malhotra, O.P. and Kayastha, A.M.: Active site groups and chemical inactivation of phosphoenolpyruvate phosphatase from germinating mung beans (Vigna radiata). Plant Science, 65 (1989) 161-170. Malhotra, O.P. and Kayastha, A.M.*: Isolation and characterization of a phosphoenolpyruvate phosphatase from germinating mung beans (Vigna radiata). Plant Physiology (USA) 93 (1990) 194-200. Kayastha, A.M., Sawa, Y., Nagata, S. and Miles, E.W. : Site-directed mutagenesis of the ? subunit of the tryptophan synthase from Salmonella typhimurium. Active site role of glutamic acid 350. Journal of Biological Chemistry 266 (1991) 7618-7625. Kayastha, A.M. and Miles, E.W. : A colorimetric assay for a pyridoxal phosphate dependent ? replacement reaction with L-cysteine: Applications to studies of wild type and mutant tryptophan synthase ?2?2 complexes. Analytical Biochemistry 193 (1991) 200-203. Kayastha, A.M.* and Malhotra, O.P. : Phosphoenolpyruvate phosphatase from mung beans Vigna radiata L. Wilczek: Properties and possible function. Plant Physiology & Biochemistry 18 (1991) 14-17. Kayastha, A.M., Sawa, Y, Nagata, S., Kanzaki, H. and Miles, E.W. : Circular dichroism studies of the coenzyme environment in the active site of the mutant forms of the ? subunit in the tryptophan synthase ?2?2 complex. Indian Journal of Biochemistry & Biophysics 28 (1991) 317-321. Pandey, P.C., Kayastha, A.M. and Pandey. V.: Amperometric enzyme sensor for glucose based graphite paste modified electrodes. Applied Biochemistry and Biotechnology 33 (1992) 139-144. Malhotra, O.P., Tikoo, K., Kayastha, A.M., Srinivasan and Gupta, A.K. : Effect of coenzymes on the quaternary structure conformation of glyceraldehyde 3-phosphate dehydrogenase. Indian Journal of Biochemistry & Biophysics 29 (1992) 469-476. Kayastha, A.M.*: Metabolite channelling in tryptophan synthase. Journal of Theoretical Biology 158 (1992) 133-134. Srinivasan, Kayastha, A.M. and Malhotra, O.P. : Substrate-induced stability of glyceraldehyde 3-phosphate dehydrogenase from mung beans (Vigna radiata L.). Plant Physiology (USA) 100 (1992) 2109-2112. Kayastha, A. M.*: Protein engineering - a novel way to elucidate structure-function relationships (Review Article). Biochemical Education 21 (1993) 59-66. Malhotra, O.P., Tikoo, K., Srinivasan, Kayastha, A.M. and Gupta, A.K. : Effect of substrate and phosphate ions on the quaternary structure symmetry of glyceraldehyde 3-phosphate dehydrogenase of mung beans and rabbit muscle. Indian Journal of Biochemistry & Biophysics 30 (1993) 83-88. Kayastha, A.M.* and Malhotra, O.P. : Studies on active site of PEP phosphatase from germinating seeds of Vigna radiata L. wilczek. Plant Physiology & Biochemistry 20 (1993) 27-30. Malhotra, O.P., Srivastava, D.K., Kayastha, A.M. and Srinivasan: Inactivation of glyceraldehyde 3-phosphate dehydrogenase with SH reagent and its relationship the protein quaternary structure. Indian Journal of Biochemistry & Biophysics 30 (1993) 264-269. Malhotra, O.P., Prabhakar, P. and Kayastha, A.M.: Application of short column gel permeation in the study of protein-protein interaction. Journal of Biochemical and Biophysical Methods 31 (1996) 23-30. Ambasht, P.K., Malhotra, O.P. and Kayastha, A.M.: Purification, characterisation and steady state kinetic properties of cytosolic pyruvate kinase free of phospho- enolpyruvate phosphatase activity from germinating mung beans (Vigna radiata L.). Indian Journal of Biochemistry & Biophysics 33 (1996) 184-194. Malhotra, O.P., Ambasht, P.K., Prabhakar, P., Lal, A.K. and Kayastha, A.M.: An assay procedure for determining the rate of an enzymatic reaction lacking optical signal: validity of coupled enzyme assays. Biochemical Education 24 (1996) 56-59. Lal, A.K., Kayastha, A.M. and Malhotra, O.P. : Interactions of aldolase and glyceraldehyde 3-phosphate dehydrogenase: Molecular mass studies. Biochemistry and Molecular Biology International 42 (1997) 507-515. Ambasht, P.K., Malhotra, O.P. and Kayastha, A.M.: Regulatory properties and active site groups of cytosolic mung bean pyruvate kinase. Indian Journal of Biochemistry & Biophysics 34 (1997) 365-372. Das, N., Kayastha, A.M.* and Malhotra, O.P. : Immobilization of urease from pigeonpea (Cajanus cajan L.) on polyacrylamide gels and calcium alginate beads. Biotechnology and Applied Biochemistry 27 (1998) 25-29. Tyagi, M., Kayastha, A.M.* and Sinha, B: The role of phenolics and peroxidase in resistance to Alternaria triticina in bread wheat (Triticina aestivum L.). Journal of Agronomy & Crop Science 181 (1998) 29-34. Das, N. and Kayastha, A.M.*: Immobilization of urease from pigeonpea (Cajanus cajan L.) on flannel cloth using polyethylenimine. World Journal of Microbiology & Biotechnology 14 (1998) 927-929. Kayastha, A.M.* and Das, N.: Kinetics of thermal inactivation and molecular asymmetry of urease from dehusked pigeonpea (Cajanus cajan L.) seeds. Journal of Plant Biochemistry & Biotechnology 7 (1998) 121-124. Ambasht, P.K. and Kayastha, A.M.: Plant Phosphoenolpyruvate Phosphatase: A review. Physiology and Molecular Biology of Plants 5 (1999) 1-6. Prabhakar, P., Malhotra, O.P. and Kayastha, A.M.: Phosphoglycerate kinase-glyceraldehyde-3-phosphate dehydrogenase interaction: Reaction rate studies. Indian Journal of Biochemistry & Biophysics 36 (1999) 88-100. Pandey, S., Asthana, R.K., Kayastha, A.M., Singh, N. and Singh, S.P. : Response of Spirodela polyrhiza (L.) SP20 to selected heavy metals: toxicity and uptake. Journal of Plant Physiology 154 (1999) 634-640. Singh, N., Asthana, R.K., Kayastha, A.M., Pandey, S., Chaudhary A.K. and Singh, S.P. : Thiol and exopolysaccharide production of a cyanobacteirum under heavy metal stress. Process Biochemistry 35 (1999) 63-68. Tyagi, M., Kayastha, A.M.* and Sinha, B.: The role of peroxidase and polyphenol oxidase isozymes in wheat resistance to Alternaria triticina. Biologia Plantarum 43 (2000) 559-562. 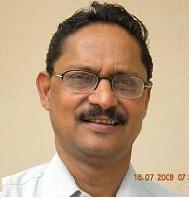 Srivastava, P.K. and Kayastha, A.M.*: Significance of sulfhydryl groups in the activity of urease from pigeonpea (Cajanus cajan L.) seeds. Plant Science 159 (2000) 149-158. Singh, N.K., Srivastava, A. and Kayastha, A.M.: Synthesis, characterization and in-vitro antitumour studies on some 3d-metal complexes of N-salicyloyl-N'-thiobenz hydrazide. Indian Journal of Chemistry 39A (2000) 1074-1078. Tyagi, M., Kayastha, A.M.* and Sinha, B.: Induction of chitinase and ?-1,3-glucanase in resistant and susceptible wheat lines following infection with A. triticina. Journal of Plant Biochemistry and Biotechnology 10 (2001) 71-74. Srivastava, P.K., Kayastha, A.M.* and Srinivasan: Characterization of gelatin immobilized pigeonpea urease and preparation of a new urea biosensor for urea assay. Biotechnology and Applied Biochemistry 34 (2001) 55-62. Srivastava, P.K. and Kayastha, A.M.*: Studies on histidine residues of urease from pigeonpea (Cajanus cajan L.) seeds. Journal of Molecular Catalysis B: Enzymatic 16 (2001) 81-89. Kayastha, A.M.* and Srivastava, P.K. : Pigeonpea (Cajanus cajan L.) urease immobilized on glutaraldehyde activated chitosan beads and its analytical applications. Applied Biochemistry and Biotechnology 96 (2001) 41-53. Singh, S., Kayastha, A.M., Asthana, R.K., Srivastava, P.K. and Singh, S.P. : Response of Rhizobium leguminosarum to nickel stress. World Journal of Microbiology and Biotechnology 17 (2001) 667-672. Ambasht, P.K. and Kayastha, A.M.: Plant pyruvate kinase (Review Article). Biologia Plantarum 45 (2002) 1-10. Srivastava, P.K., Kayastha, A.M.* and Jagannadham, M.V. : Kinetics of inhibition and molecular asymmetry in pigeonpea (Cajanus cajan) urease. Journal of Biochemistry, Molecular Biology and Biophysics 6 (2002) 1-6. Biswas, S. and Kayastha, A.M.*: Thermal stability of Phaseolus vulgaris leucoagglutinin: a differential scanning calorimetry study. Journal of Biochemistry and Molecular Biology 35 (2002) 472-475. Das, N., Kayastha, A.M.* and P. K. Srivastava: Purification and characterisation of urease from dehusked pigeonpea (Cajanus cajan L.) seeds. Phytochemistry 61 (2002) 513-521. Srivastava, P.K., Kayastha, A.M. and Reddy, K.R.C., Grant, D.F: Demonstration of molecular asymmetry in pigeonpea urease: pH inactivation studies. Journal of Plant Biochemistry and Biotechnology 12 (2003) 49-51. Biswas, S., Kayastha, A.M.* and Seckler, R: Purification and characterization of a thermostable ?-galactosidase from kidney beans (Phaseolus vulgaris L.) cv. PDR 14. Journal of Plant Physiology 160 (2003) 327-337. Kayastha, A.M., Srivastava, P.K., Miksa, B. and Slomkowski, S.: Unique activity of ureases immobilized on poly(styrene-co-acrolein) microspheres. Journal of Bioactive and Compatible Polymers 18 (2003) 113-124. Reddy, K.R.C., Srivastava, P.K., Dey, P.M. and Kayastha, A.M.*: Immobilization of pigeonpea (Cajanus cajan) urease on DEAE-cellulose paper strips for urea estimation. Biotechnology and Applied Biochemistry 39 (2004) 323-327. Biswas, S. and Kayastha, A.M.*: Spectroscopic characterization of Phaseolus vulgaris leucoagglutinin. Protein and Peptide Letters 11 (2004) 1-7. Singh, S, Kayastha, A.M., Asthana, R.K. and Singh, S.P. : Response of garden pea to nickel toxicity. Journal of Plant Nutrition 27 (2004) 1543-1560. Tripathi, P., Dwevedi, A. and Kayastha, A.M.*: Purification and partial characterization of ?-amylase from soybean (Glycine max). Oriental Pharmacy and Experimental Medicine 4 (2004) 227-234. Kumar, S., Kansal, A. and Kayastha, A.M.*: Immobilization of jack bean (Canavalia ensiformis) urease on gelatin and its characterization. Oriental Pharmacy and Experimental Medicine 5 (2005) 43-47. Singh, A.P., Asthana, R.K., Kayastha, A.M. and Singh, S.P. : A comparison of proline, thiol levels and GAPDH activity in cyanobacteria of different origins facing temperature-stress. World Journal of Microbiology and Biotechnology 21 (2005) 1-9. Basu, I., Subramanian R.V., Mathew, A., Kayastha, A.M., Chadha, A. and Bhattacharya, E. Solid state potentiometric sensor for the estimation of tributyrin and urea. Sensors and Actuators B. Chemical 107 (2005) 418-423. Lal, A.K., Plaxton, W.C. and Kayastha, A.M.*: Purification and characterization of an allosteric fructose-1,6-bisphosphate aldolase from germinating mung beans Vigna radiata. Phytochemistry 66 (2005) 968-974. Asthana, R.K., Srivastava, S., Singh, A.P., Kayastha, A.M. and Singh, S.P. : Identification of maltooligosyltrehalose synthase and maltooligosyltrehalose trehalohydrolase enzymes catalyzing trehalose biosynthesis in Anabaena 7120 exposed to NaCl stress. Journal of Plant Physiology 162 (2005) 1030-1037. Reddy. K.R.C., Turcu, F., Schulte, A., Kayastha, A.M. and Schuhmann, W. Fabrication of a potentiometric/amperometric bifunctional enzyme microbiosensor. Analytical Chemistry 77 (2005) 5063-5067. Reddy. K.R.C. and Kayastha, A.M.*: Improved stability of urease upon coupling to alkylamine and arylamine glass. Journal of Molecular Catalysis B: Enzymatic 38 (2006) 104-112. Asthana, R.K., Srivastava, A., Kayastha, A.M., Nath, G., and Singh, S.P. : Antibacterial potential of ?-linolenic acid from Fischerella sp. colonizing neem tree bark. World Journal of Microbiology and Biotechnology 22 (2006) 443-448. Dubey, V.K., Shah, A., Jagannadham, M.V. and Kayastha, A.M.*: Effect of Organic Solvents on the Molten Globule State of Procerain: �-sheet to a-helix switchover in the presence of trifluroethanol. Protein and Peptide Letters 13 (2006) 545-547. Reddy, K.R.C. and Kayastha, A.M.*: Boric acid and boronic acids inhibition of pigeonpea urease. Journal of Enzyme Inhibition and Medicinal Chemistry 21 (2006) 467-470. Nakarani, M. and Kayastha, A.M.*: Kinetics and diffusion studies in urease-alginate biocatalyst beads. Oriental Pharmacy and Experimental Medicine 7 (2007) 79-84. Swati, M., Kumar, S., Reddy, K.R.C. and Kayastha, A.M.*: Immobilization of urease from pigeonpea (Cajanus cajan) on agar tablets and its application in urea assay Applied Biochemistry and Biotechnology 142 (2007) 291-297. Tripathi, P., Kumari, A., Rath, P., Kayastha, A.M.*: Immobilization of a-amylase from mung beans (Vigna radiata) on Amberlite MB 150 and chitosan beads. Journal of Molecular Catalysis B: Enzymatic 49 (2007) 69-74. Kayastha, A.M.*: Immobilization of enzymes ? Successes and future potential: A Review. DEI Journal of Science and Engineering Research 14 (2007) 17-24. Asthana, R.K., Nigam, S., Maurya, A., Kayastha, A.M. and Singh, S.P. : Trehalose producing enzymes MTSase and MTHase in Anabaena 7120 under NaCl stress. Current Microbiology 56 (2008) 429-435. Singh, A.R., Joshi, S., Arya, R., Kayastha, A.M., Srivastava, K.K., Tripathi, L.M., Saxena, J.K.: Molecular Cloning and characterization of Brugia malayi hexokinase. Parasitology International 57 (2008) 354-361. Tripathi, P., Hofmann, H., Kayastha, A.M.* and Ulbrich-Hofmann, R.: Conformational stability and integrity of a-amylase from mung beans: Evidence of kinetic intermediate in GdnCl induced unfolding. Biophysical Chemistry 137 (2008) 95-99. Bhowmick, R., Prasanna Kumari, N. K., Jagannadham, M.V. and Kayastha, A.M.*: Purification and characterization of a novel protease from the latex of Pedilanthus tithymaloids. Protein and Peptide Letters 15 (2008) 1009-1016. Dwevedi, A. and Kayastha, A.M.*: Stabilization of �-galactosidase by immobilization onto Amberlite MB-150 beads and is application in lactose hydrolysis. Journal of Agriculture and Food Chemistry 57 (2009) 682-688. Kumar, S. and Kayastha, A.M.*: Immobilization of soybean (Glycine max) urease on alginate and chitosan beads showing improved stability: Analytical applications. Journal of Molecular Catalysis B: Enzymatic 58 (2009) 138-145. Dwevedi, A., and Kayastha, A.M.*: A �-Galactosidase from Pea (Pisum sativum L.) seeds (PsBGAL): Purification, stabilization, catalytic energetics, conformational heterogeneity and its significance. Journal of Agriculture and Food Chemistry 57 (2009) 7086-7096. Singh, A.R., Joshi, S., Kayastha, A.M. and Saxena, J.K.: Guanidium chloride and urea induced unfolding of tetrameric Brugia malayi hexokinase. European Biophysical Journal 39 (2010) 289-297.
. Kumar, S. and Kayastha, A.M.*: Acetohydoxamic acid � a completive inhibitor of urease from soybean (Glycine max). Journal of Proteins and Proteomics 1 (2010) 3-8. Dwevedi, A. Kayastha, A.M.*: Plant �-Galactosidases : Physiological significance and recent advancement in technological applicationsa - a Review. Journal of Plant Biochemistry and Biotechnology 19 (2010) 9-20. Kumar, S. and Kayastha, A.M.*: Inhibition studies of soybean (Glycine max) urease with heavy metals, sodium salts of mineral acids, boric acid and boronic acid. Journal of Enzyme Inhibition and Medicinal Chemistry (2010) In Press. Kumari, A., Rosenkranz, T., Kayastha, A.M.*, Fitter, J.: The effect of calcium binding on the unfolding barrier: A kinetic study on homologous alpha-amylases. Biophysical Chemistry (2010) In Press. Dwevedi, A., Dubey, V.K., Jagannadham, M.V. and Kayastha, A.M.*: Insights into pH-Induced conformational transition of �-galactosidase from Pisum sativum leading to its multimerization. Applied Biochemistry and Biotechnology (2010) In Press. Kumar, S. and Kayastha, A.M.*: Soybean (Glycine max) urease: Significance of sulfhydryl groups in urea catalysis. Plant Physiology and Biochemistry (2010) In Press. Kumari, A., Singh, V.K., Fitter, J., Polen, T., Kayastha, A.M.*: a-Amylase from germinating soybean (Glycine max) seeds � Purification, characterization and sequential similarity of conserved and catalytic amino acid residues. Phytochemistry (2010) In Press. Kumari, A., Rosenkranz, T., Kayastha, A.M.*, Fitter, J.: Conformational stability, thermal and GndHCl-induced unfolding/refolding kinetics of soybean (Glycine max) a-amylase � Evidence from fluorescence and circular dichroism spectroscopy. Biophysical Chemistry (2010) Communicated. Chaudhary, G., Kayastha, A.M.* and Dantu, P.K. : Differential fruit set in two members of Bignoniacease: Investigation into the enzyme activity in the pistils. Biologia Plantarum (2010) Communicated. Kumar, S. and Kayastha, A.M.*: Characterization of histidine residues of active site of Soybean (Glycine max) urease by chemical modification. Plant Science (2010) Communicated. Kumari, A and Kayastha, A.M.*: Improved stability of soybean (Glycine max) a-amylase by immobilization onto Chitosan and Amberlite MB-150 beads: A comparative study. Journal of Agriculture and Food Chemistry (2010) Communicated. Miles, E.W., Ahmed, S.A., Hyde, C.C., Kayastha, A.M., Yang, X-J, Ruvinov, S.B. and Lu, Z : Tryptophan synthase. In Molecular Aspects of Enzyme Catalysis (Fukui, T. and Soda, K. eds.) Kodansha Ltd., Tokyo and VCH Pub. Inc., New York, Weinheim, 1994, Book Chapter 7, pp. 127-147. Kayastha, A.M.: Mechanism of enzyme action. In e-book on Biochemistry, National Science Digital Library (NSDL) & National Institute of Science Communication and Information Resources (NISCAIR), New Delhi, 2008, pp.1-20(http://hdl.handle.net/123456789/728). Kayastha, A.M. and Reddy, K.R.C. : Studies on Plant Urease and its Applications. VDM Verlag Dr. M�ller Aktiengesellschaft & Co., Saarbr�cken, 2009, pp. 1-264, ISBN 978-3-639-18268-2. Kayastha, A.M. and Gupta, A.K. : An easy method to determine the kinetic parameter of biphasic reactions. Biochemical Education 15 (1987) 135. Malhotra, O.P., Prabhakar, P. and Kayastha, A.M.: Determination of accessible bed volume of gels by short column filtration. Biochemical Education. 20 (1992) 114-116. Kayastha, A.M. and Singh, B.D. : Biotechnology programme at Banaras Hindu University, India. Biochemical Education 20 (1992) 103-105. Prabhakar, P. and Kayastha, A.M.: Mechanism of DNA-Drug interaction. Applied Biochemistry and Biotechnology 47 (1994) 39-55. Kayastha, A.M., Prabhakar, P. and Malhotra, O.P. : Advances in the molecular recognition of DNA-a step towards therapeutic drug design. Biochemical Education 23 (1995) 56-64. Kayastha, A.M.: Protein engineering. The Botanica 45 (1995) 35-39. Kayastha, A.M. and Ambasht, P.K. : Plant Phosphoenolpyruvate phosphatase: A glycolytic enzyme? The Botanica 46 (1996) 228-230. Kayastha, A.M. and Ambasht, PK. : Protein structure-based drug design. Journal of Scientific Research 46 (1996) 37-46. Kayastha, A.M. and Das, N.: A simple laboratory experiment for teaching enzyme immobilization with urease from pigeonpea (Cajanus cajan L.) and its application in blood urea estimation. Biochemical Education 27 (1999) 114-117. Kayastha, A.M.: 'Publish and perish' policy for Indian universities. Current Science 92 (2007) 708.